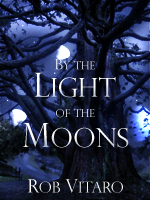 By the Light of the Moons: Buy the novel for your Kindle e-reader or Kindle app and now in paperback. The big day is here. My novel is now available in paperback. Buy today!